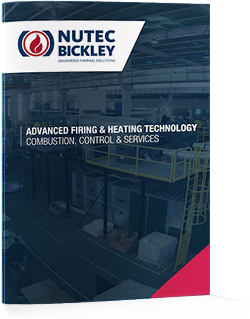 Nutec Bickley is a manufacturer and designer of combustion trains according to customer´s specifications. Our fuel trains work with either gas, oxygen or diesel. Each fuel train can handle gas, oxygen diesel or heavy fuel oil and is selected for use in specific conditions and in compliance with the required safety codes (NFPA, NOM, IRI, FM etc). The versatility of the brands handled by Nutec Bickley makes each gas train capable to suit the customer needs in order to work efficiently and safely. Each gas train is backed by over 40 years of experience in the use of burners and equipment for various industries. Trains for gas and/or liquid fuel are assembled into a structural skid. All trains have tightness tests performed on them; all electrical systems are tested as well in our plant so that they are ready to install and operate in the customer’s plant. Gas valves in compliance with the latest NFPA-86 norm. Structural rack for gas valve train support and fuel train. Control panel using PID or PLC.